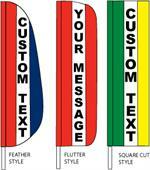 AttentionFlag.com offers a huge array of high-end custom flags and banners, including our custom message flags. 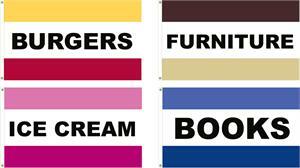 These custom flags are available in any color combination and you can choose any center panel phrase for your needs. 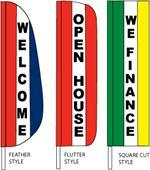 All of these customized flags are made using tough, long-lasting Invista SolarMax 200 denier nylon. This means that your flag will be highly resistant to UV fading. 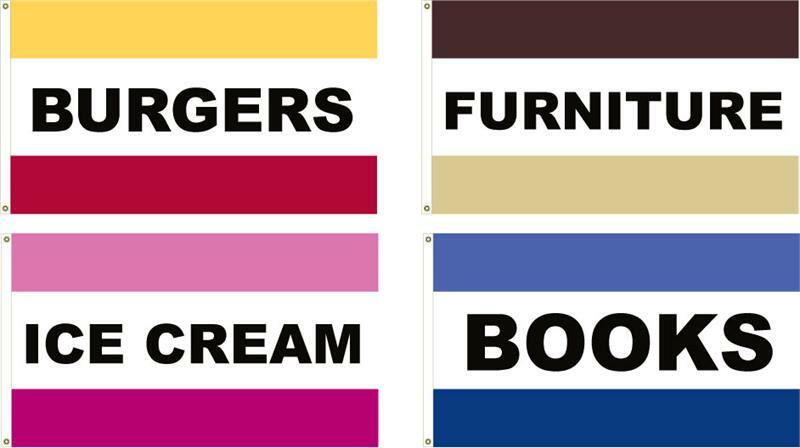 When you are looking for a flag that will have bright, long-lasting colors, this is the perfect message flag for your needs.